I read a lot of advice books. Trust me when I say this: DO YOUR LAUNDRY OR YOU’LL DIE ALONE by Becky Blades stands out from the rest of the graduation-gift-book pack. It’s not only informative, but also insightful, entertaining, funny, and a breath of fresh air. When Becky Blades sent her firstborn daughter off to Harvard, she knew the world’s top-ranked college would not be covering the most important material: how to be kind, happy, and appropriate in public; how to protect oneself from sock monsters, boring conversations, and scary dates; and why you should keep your clothes clean. So the day before classes started, Blades emailed a good-bye letter with motherly advice she had kept to herself for a year. Just in time for her youngest daughter’s graduation from high school, Blades illustrated the prose with her signature mixed-media artwork, creating a thought-provoking, conversation-starting book. 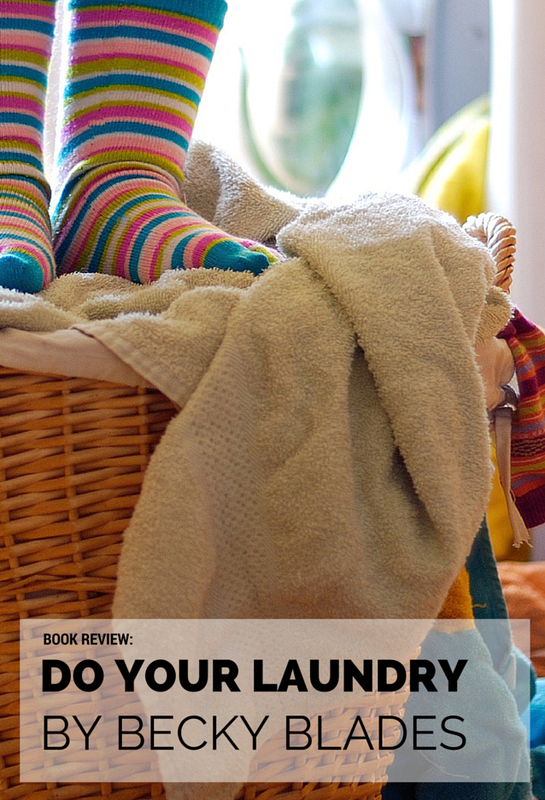 With warmth, wit, and a hint of motherly sass, Do Your Laundry, or You’ll Die Alone: Advice Your Mom Would Give If She Thought You Were Listening blends bite-sized morsels of coming-of-age common sense with tiny essays on more substantial topics. The book is a collection of “warm, witty, and wise coming-of-age common sense.” The entries range from lighthearted (“Keep at least one stuffed animal”) to lenghty (essays on topics like phone etiquette and forgiveness). Unlike many other “gift” books, this one takes advantage of humor, witticism, and colorful graphics scattered throughout. I liked looking at the myriad designs almost as much as I enjoyed reading the book. If you can’t say something nice, don’t say anything at all. You’re smart enough to think of something nice. Don’t press ‘send’ in the heat of emotion. The best way to glow is to shine the spotlight on someone else. Do something nice or good every day and tell no one. Have a list of things you like to do that don’t cost money. Of course, there are hundreds of other tips in this book for you to take advantage of. It’s difficult for me to choose my favorites. If you want to read Becky Blades’ wisdom for yourself, you can purchase this book in various formats through Amazon, Indie Bound, Barnes & Noble, and Rainy Day Books. Go get your copy today!